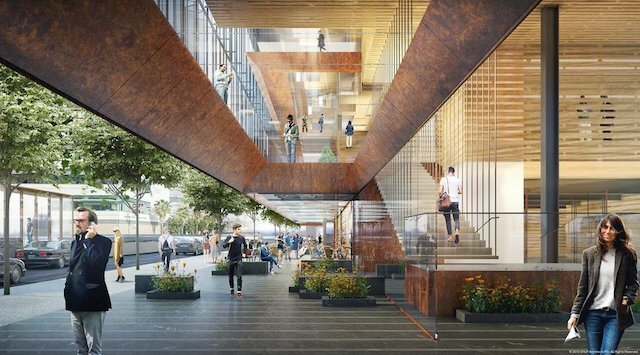 Feast your eyes upon this monumental vision for Uber's Mission Bay corporate headquarters, which as the Business Times reports, is expected to open by late 2017 or early 2018. We first heard about these plans last fall, and barring a massive bursting bubble, construction will begin this fall on the major structures that will eventually accommodate more than 3,000 workers. What's more: Uber, explains the Chronicle, is seeking to recruit small and/or minority-owned businesses for the development team. It should also be noted that the new HQ isn't for driver-partners. They'll have their own "partner support centers" for registration and training. Currently, the "technology" company leases 230,00 square feet at 1455 Market with an addition 90,000 square feet at 685 Market. But Uber's new temple to capitalism comprises a 423,000-square-foot, two-building complex set to include an 11-story mid-rise building at 1455 Third Street and a six-story building at 1515 Third Street. The cold, steel and glass heart of the "campus" designed by SHoP Architects and interior designer Studio O+A, is a "commons." That's very much in keeping with the academic pastoral aesthetic adopted by many tech companies' campuses in recent years. The commons includes three angled bridges that cross over a public pedestrian way, Pierpoint Lane. The design is being described as "inside out," which according to head of workplace operations Adony Beniares is symbolic of Uber's transparent corporate culture. "There is a transparency we have internally where anybody can talk to anybody about what is going on." “It’s a great neighborhood now; it’s going to be a super-great neighborhood,” he says of the area, a 14-acre parcel purchased from Salesforce. 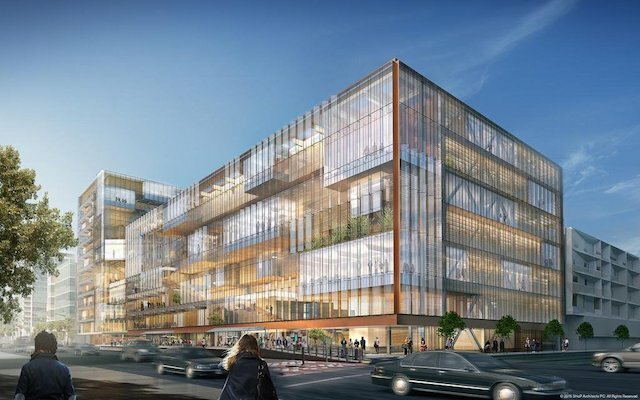 It was originally going to be their turf, but that was not to be, and the company sold it off in thirds: One parcel to the Warriors, one to UCSF, and one to Uber. We'll all be curious to see what the Mission Bay Alliance has to say about the plans. Almost three weeks after a woman was randomly attacked during a mid-morning walk near Union Square, the San Francisco Police Department is no nearer to finding her assailant, and hopes you can help.